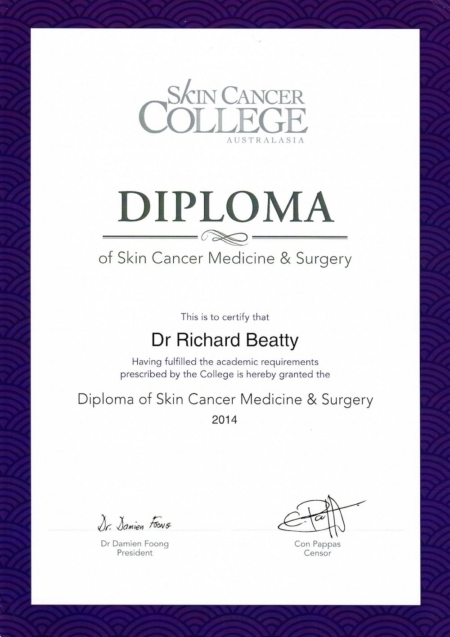 Dr Richard Beatty’s skin cancer practice differs from many skin cancer clinics in that he concentrates on the early diagnosis of skin cancer via a thorough skin examination – with less of an emphasis on surgical procedures. Patients requiring surgery in difficult or sensitive areas are referred to a plastic surgeon. 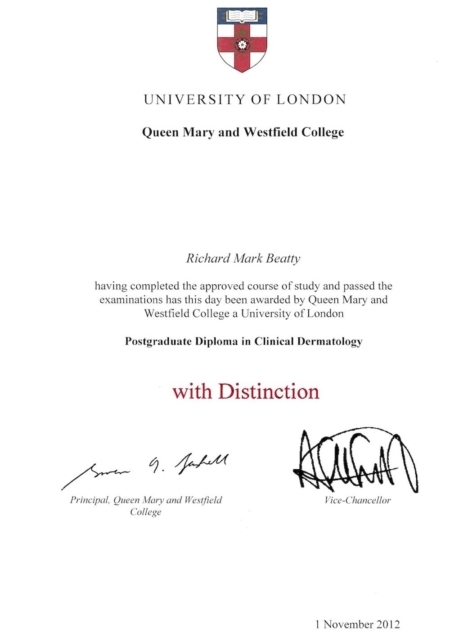 This practice is in line with that of many Dermatologists, and indeed many of his clients have seen Dermatologists in the past for their skin checks. 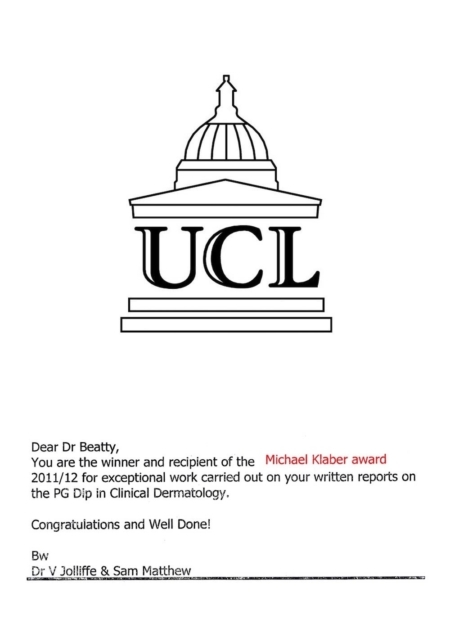 So why go to South East Skin Clinic for your skin check? The practice is located Brisbane Bayside, avoiding half-day trips to a city-based Dermatology practice. 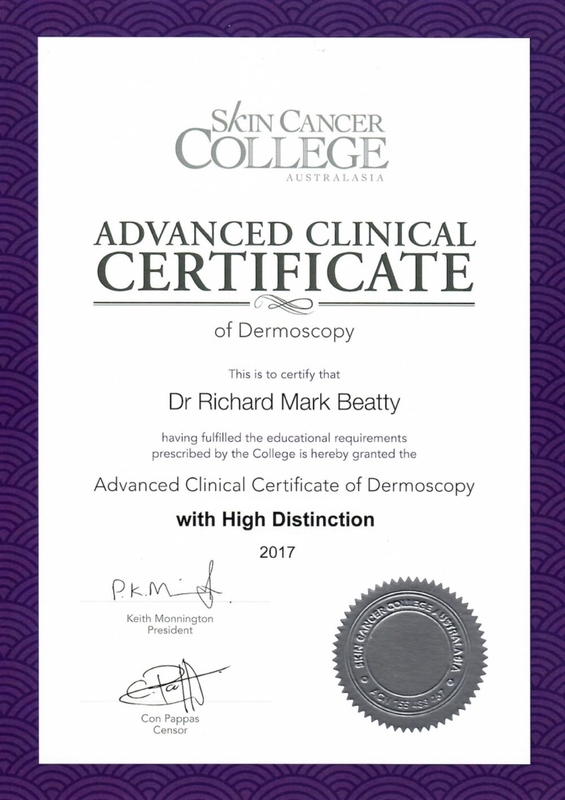 This service suits our clientele who are seeking a high quality diagnostic service from the skin cancer clinic whilst leaving the occasional potentially disfiguring surgery to plastic surgeons. What procedures can be performed to a high level at the clinic? Any procedure (off the face) that involves a ‘straight line’ – in other words, no flaps or grafts. Dermoscopy is the examination of the skin through a specialised lens & light source. Diploma-level (advanced cert) training in Dermoscopy takes > 250 hours. Why is this? The skin looks very different through a dermatoscope than it does with a light and simple magnifiying glass. There are hundreds of features described in dermoscopy literature. 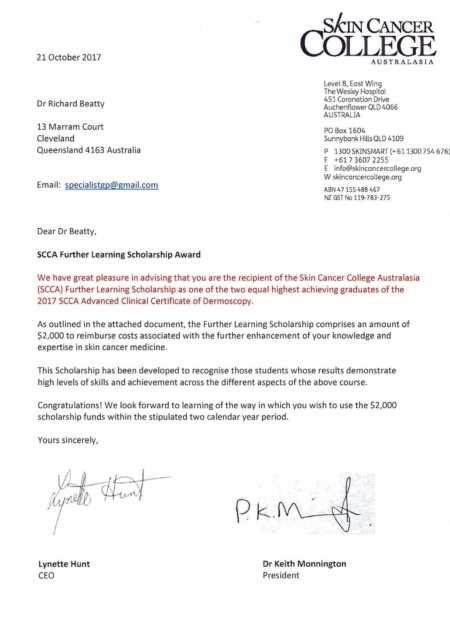 Advanced Certificate in Dermoscopy (SCCA, 2017) – High Distinction & Awarded Scholarship by SCCA for joint highest mark (approx 80 candidates). 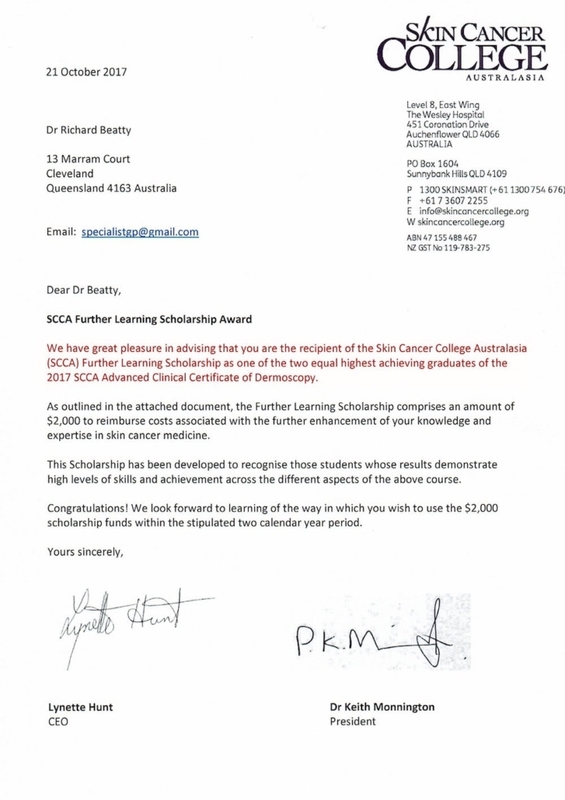 Dermoscopic diagnosis of Actinic Keratosis and Squamous Cell Carcinoma: EACCME certificate (2017). Dermoscopic clues in non-melanoma skin cancer to guide treatment: EACCME certificate (2017). 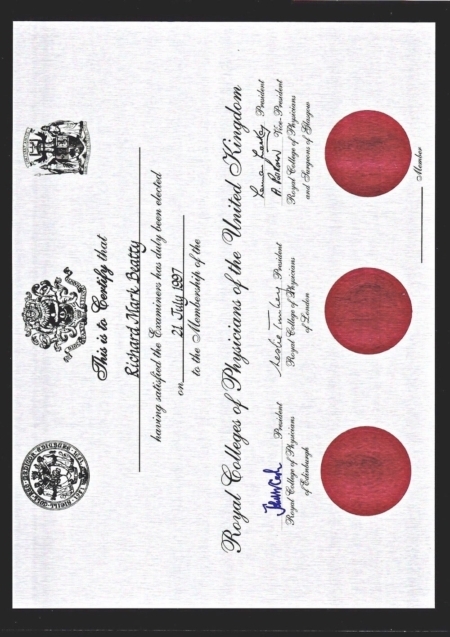 Membership of The Royal College of Physicians of London (MRCP) – equivalent to FRACP in Australia. 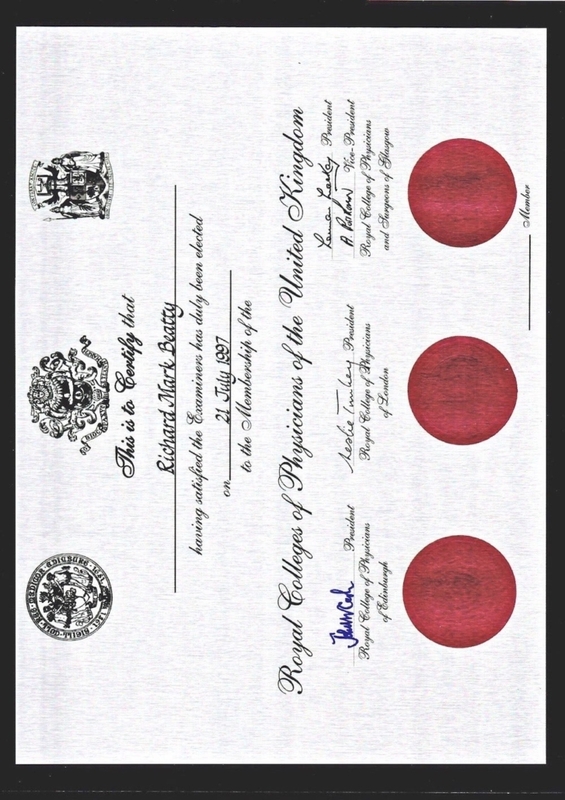 Membership of The Royal College of General Practitioners (MRCGP). Fellowship of the Royal College of Australian General Practitioners (FRACG). How else do you know? The blog’s intended audience is the public who are interested in learning about the different types of skin cancer & skin lesions. The website does not accept or host any advertisement. There is no external funding source, and The site is 100% funded by Dr Richard Beatty. There is no commercial interest in the contents of the website, and no commercial link to any of the treatments mentioned. The site does not replace the advice of a health professional. The information is designed to complement, not replace, the relationship between a patient and his/her own doctor. View detailed disclaimer page.